The Olt Land (Romanian – Țara Oltului, also known as Țara Făgărașului) lays in the southern part of the Sibiu County and is the last one on our list to talk about. The main characters of this region are the Făgăraș Mountains (to the south) and the river Olt (the 2nd largest river in Romania) which is the northern border of the region. The villages in the southern part of the region, at the base of the mountains, are mostly inhabited by Romanians (like Turnu Roșu, Racovița) and the ones from the northern part, closer to the Olt River, by Hungarians and Saxons (like Cârța, Avrig, Săcădate). The Olt Land has had a big importance during many centuries and evidences of this importance have been found, dating as early as the bronze age. During the occupation of the Roman Empire (around the year 106), in some of the villages in the southern part of the area, defense fortresses have been built. Later on, the area became a passing point for most of the migratory people. In the XII century the Olt Land represented the southern border of the Hungarian Empire. This is also when the Cistercian Monastery from Cârța was built. The region, as the rest of Transylvania remained under the Hungarian Empire until 1918 when the Romanian country was born. During this time Hungarians and Saxons came over, and together with the Romanians already living there, gave this place the color and authenticity it has today. This region has a variety of land-forms which led in time to a big variety of occupations and local products. Extended pastures (approximately 35% of the area) allowed people to grow animals (especially pigs, cows and sheep), the piedmont areas were and still are suitable for fruit orchards, and the forests (approximately 33% of the region) and the Făgăraș Mountains offer forest fruits, medicinal herbs and game meat. Vegetables (especially potatoes and red onions) were and are even today cultivated in the hills area of the Olt Land. And considering the big river Olt and all the other small rivers in the area, people added fishing to their daily occupations. Considering that the there is such a wide selection of ingredients to choose from, the gastronomy of this area is so rich in recipes and authentic taste. We have to mention here the traditional tapșa (polenta with cheese, sour cream and sausages in the oven), stews with potatoes or wild mushrooms, beans soup with dried plumps or the recipes with fresh trout. Bioferma Albăstrea in Sărata – they have a very nice garden with fresh vegetables and an orchard with blackberries and raspberries; They sometimes organize weekend events where you can go and harvest your own fruits. The ‘Mangalița’ Farm from Racovița – specialized in growing mangalița pigs and producing all sorts of traditional meat products. Albota Trout Farm – besides the trout fish that you can buy from their farm, they also have a vegetables and animals farm in Poienița. Most of the products can also be bought from their Trout Farm. They produce a local sheep hard cheese, very tasty, similar to the Italian pecorino. You will find most of these producers in the villages or in the local markets in Sibiu. You will also find a full list of local producers from the Sibiu county, including the Olt Land in the local guide that the Tourism Office from Sibiu recently published. Hiking on the Făgăraș Mountains. I will have to admit that this is the main reason why we love the Olt Land. 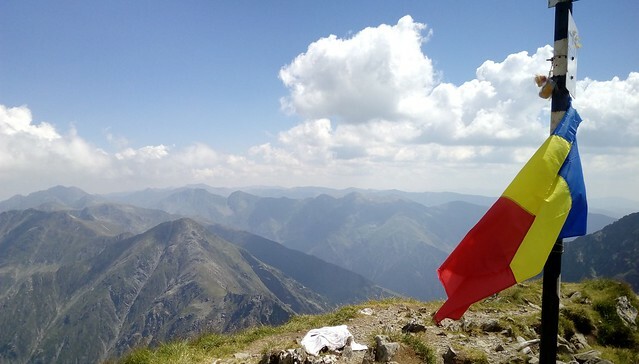 The Făgăraș Mountains are the highest in Romania and you get all that a hiker would want – high peaks, beautiful views, lakes, forests, hiking trails that will test your strength and endurance. There are also plenty of shelters and huts to spend the night if you decide to go for a longer hiking trip. In the Făgăraș Mountains you can also go with kids on a short hike to one of the huts – Bârcaciu, Negoiu, Suru, Bâlea or Podragu. The Transylvania Tourism Association is now working on including the Romanian Caprathians in a European hiking tour, more details HERE. Talking about the Făgăraș Mountains, it’s a must to mention here the Transfăgărășan Road. One of the most spectacular roads of Romania, it’s also one of the main attractions of this region. It will take you up to the Bâlea Lake where you have hotels and restaurants, but not before having a quick stop to the Bâlea Waterfall. During winter time, visit and sleep in the Ice Hotel at Bâlea Lake. If you don’t have a car available to go up on the Transfăgărășan Road, there’s a daily bus that can take you there from Sibiu. Visit Avrig – being the most important town of this region, it’s also where the Samuel von Bruckental baron built a summer residence. Which today is a very nice option for a Sunday afternoon – you have a restaurant, a very nice summer garden and for those who want to spend the night there, they also offer accommodation. While in Avrig, also pay a visit to the Fortified Church. Participate in a bread making workshop in Porumbacu de Sus. Brutăria Artizanală also offers accommodation and it’s a very good option for a family with kids, as they have a big courtyard where kids can enjoy some fresh air. Try some extreme sports like paragliding. You will get the change to fly over the beautiful Făgăraș Mountains and an amazing view over the Olt Land. Bike around the villages of the Olt Land with Tură în Natură. Go horse riding on the Avrig Valley, at the Guesthouse Ghiocelul. Go to the Albota Trout Farm for a visit and for having some fresh trout in their restaurant. They also offer accommodation and a nice view over the mountains. For those passionate of fishing, there are some lakes full of trout waiting from you. Visit the only Cistercian Abbey from Romania, in Cârța. From time to time the priest organizes also some nice picnics in the courtyard of the Abbey. Go camping on the Moașa Valley, just outside Sebeșu De Sus. It’s the favorite place for lots of people from Sibiu. 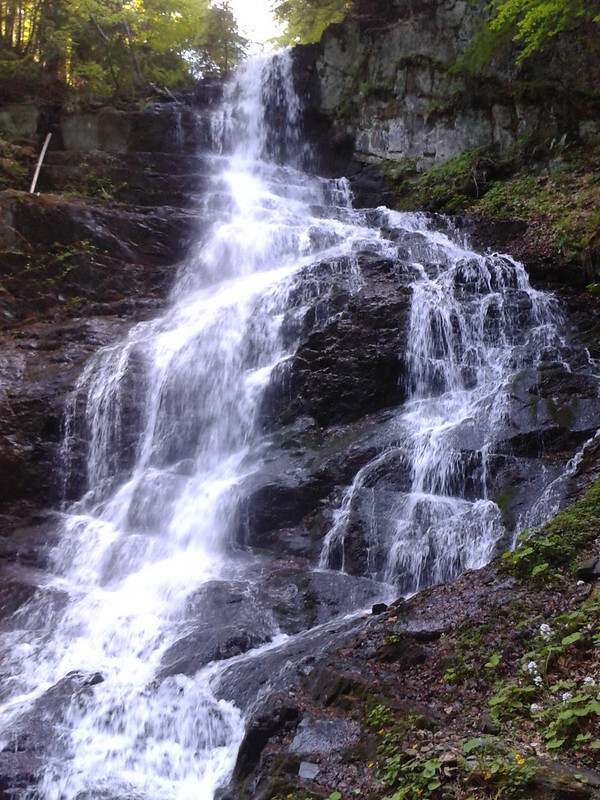 For those who are in the mood for a bit of action, having a short hike to the Moașa Waterfalls is a must. My Transylvania Association brings local tastes back to life and they organize brunches in some of the villages of the Olt Land. So if you want to experience the gastronomy of the area, these events are exactly where you have to be. You can see all the available events and book a place on eat-local.ro. In terms of accommodation, the area has lots of guesthouses in many of the villages close to the mountains. You can try Porumbacu de Sus, the Avrig Valley or Cârța. A full list of places to spend the night can be found HERE. Albota Trout Farm – it’s a nice getaway from the big city life. Quiet, beautiful view, fresh trout and lots of activities to keep you busy. Ghiocelul Guesthouse – perfect place to spend some quailty outdoor time with kids, as besides accommodation and meals, they offer horse riding classes, carriage trips, visit, feed and pet the farm animals. Strâmba Guesthouse – a bit more remote, but in a very nice environment and with very tasty food. Casa Moșului Guesthouse – in Cârțișoara, they offer accommodation and delicious meals with local products. The Făgăraș Mountains Huts – a full list with details can be found HERE. 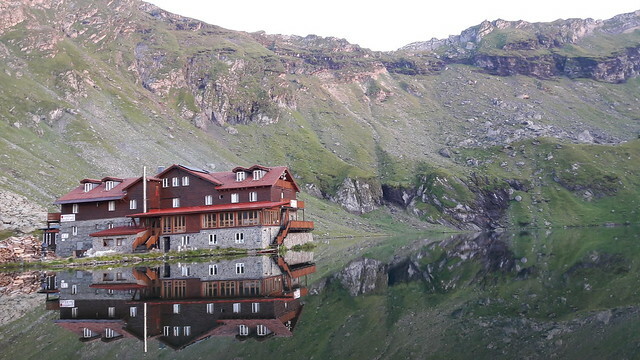 The Făgăraș Mountains Huts normally offer accommodation in shared rooms and meals on demand. You need to call and make a reservation before going up, as sometimes the hosts might not be there. For camping sites, you can try the one in Cârța – Camping de Oude Wilg. And for those who go hiking on the Făgăraș Mountains and don’t want to share a room with other people in a Hut, you can camp basically anywhere you feel like and you find a close water source. Photo credits go to the official websites and Facebook pages mentioned in the article.